Garmin has recently introduced its newest affordable smartwatch the new Vivosmart 4. The device has improved sleeker hardware and faster software packed with the new blood oxygen saturation oximeter. This sensor has appeared first in its more expensive models such as the Fenix 5X Plus. On the hardware side, the Vivosmart 4 has a slim and fashionable design with a variety of color combinations. The smooth silicone wristband can’t be changed but six color options to choose from help. The OLED touchscreen display with dimensions of 48 × 128 pixels responds to ambient light with black and white color scheme. As a result, you get the improved battery life. The oximeter sensor currently provides the data inside the sleep metrics. Unlike in Fenix 5X Plus model, the Ox sensor does not measure high-altitude acclimation, but rather it can be used to detect sleep-related issues such as apnea. If you wonder why monitoring sleep disorders have become trendy, you should consider the fact that 50-70 million US adults have a variety of sleep disorders. 25 Million U.S. adults have been reported to have obstructive sleep apnea which means the person may take some pauses in breathing while they are asleep. 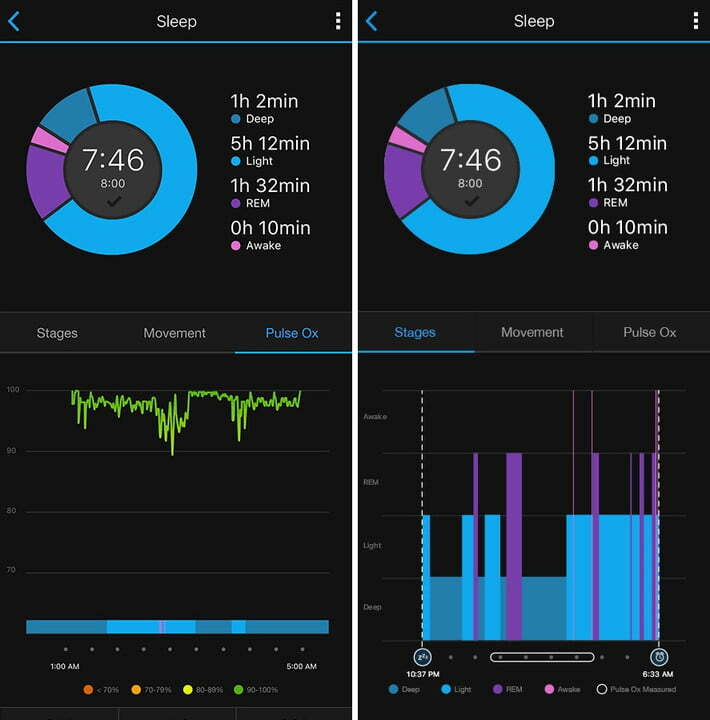 As Polysomnography and other in-laboratory sleep tests are expensive in the US, the wearable devices like these help in diagnosing and monitoring your sleeping performance. The device notably misses GPS which is active in Vivoactive 3 and Vivosport models. The optical heart rate monitor has been updated with a brand new metric called body battery. The body battery is simply a measurement which says how much more energy you have to crush your next workout. The device calculates the metric based on your resting heart rate, stress level, sleep quality, and recent workouts/activities. The fitness tracker also keeps track of steps, sleep and stress. It features VO2 max speakers, music playback, checking the current weather, enough water resistance for swimming and phone notifications. The batteries last for a week. The Garmin Vivosmart 4 is available for for $129 on Garmin’s website as well as other online and in-store retailers.